Reforestation after logging operation requires tillage Pre-tillage to meet agroecology. This cultivation is carried out under extremely severe conditions owing to the presence of stem and occasionally the combination of strains and rocks. 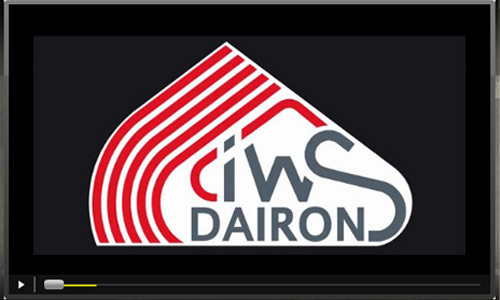 The company DAIRON IWS has developed plow NON-STOP C8D disk. 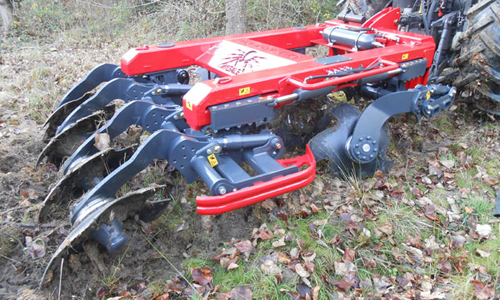 A machine designed for tillage Pre-tillage. The C8D begins work on mounting a conventional 3-point tractor. During work, and in the presence of impediment, hydraulic security is activated and the disc retracts the strain within the body of the Pseudo-Labour concerned (total clearance of 600 mm). The body of Pre-tillage automatically resets once the obstacle. This principle of "NON-STOP" provides high yields in all soil types.